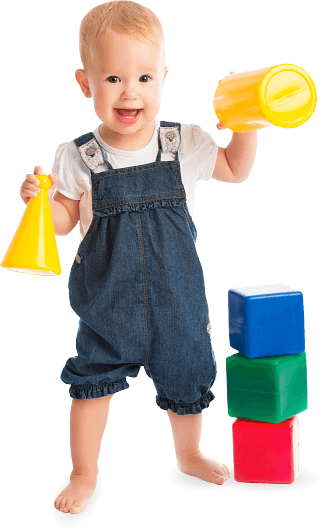 Stepping Stone Children’s Center offers developmentally appropriate learning and play experiences that contribute to the physical, social, emotional and intellectual development of children. We provide a safe, secure, and stimulating environment where each child has the opportunity to develop at his/her own pace. Stepping Stone Children’s Center offers learning centers and motivational activities that build important foundations for future academic pursuits. Our program includes activities in art, music, movement, language arts, science, social studies, mathematics, dramatic play, outside play, free play, and quiet time. Stepping Stone Children’s Center teachers and aides are carefully selected for their educational background, early childhood training and experience, and for their sensitivity to the individual needs of young children. Stepping Stone Children’s Center uses Creative Curriculum along with our weekly lesson plans, which focus on the foundational skills that children need for a lifetime of learning. Our students are prepared for school through activities and lessons that promote the physical, emotional, social, and intellectual development of a child. School readiness skills include listening, observations, following directions, small and large motor development, positive self-esteem, language development, imagination and creativity, problem solving, self-help, social skills, reading and writing readiness. 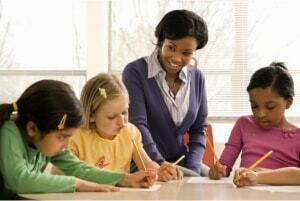 To provide a high quality, affordable program that contributes to strengthening children’s academic and social standing. We want the children in our care to become enthusiastic learners. We encourage our students to be active and creative explorers who are not afraid to try new things. We want children to become independent and confident. We are a family-focused Center, one that seeks to provide a supportive atmosphere for children and their parents. Stepping Stone Children’s Center is uniquely designed to meet the needs of working families. Our Center guarantees a higher level of personal care and individualized attention by investing in quality staff, which possesses the best skills to offer a warm, supportive, and stimulating environment.